Next Thursday (10/4) marks the beginning of the Boston Symphony Orchestra 2007/2008 season. The evening's all-Ravel program welcomes James Levine and the Symphony back to Hall on the heels of their recent European Tour and features solo performances by legendary musicians Susan Graham (mezzo-soprano) and Jean-Yves Thibaudet (pianist). BSO Music Director James Levine and the Boston Symphony Orchestra open their 2007-08 concert season on Thursday, October 4, with an all-Ravel program featuring mezzo-soprano Susan Graham and pianist Jean-Yves Thibaudet. The orchestra launches its 127th season with Ravel’s Alborada del gracioso. Ms. Graham joins the BSO for Shéhérzade for mezzo-soprano and orchestra, and Mr. Thibaudet performs Ravel’s Piano Concerto in G. The Opening Night at Symphony program closes with the second suite from Daphnis et Chloé. Cadillac and Shreve, Crump & Low are this season’s Opening Night at Symphony partners. On October 5 and 6, Maestro Levine leads another all-Ravel program that includes the Tanglewood Festival Chorus, John Oliver, conductor, in the complete Daphnis et Chloé. Mr. Thibaudet returns for Ravel’s Piano Concerto in G, and the orchestra also performs Alborada del gracioso and Pavane for a Dead Princess. The 2007-08 season marks James Levine’s fourth season as Music Director of the Boston Symphony Orchestra. Named Music Director Designate in October 2001, he is the orchestra’s 14th music director since the BSO’s founding in 1881 and the first American-born conductor to hold that position. Highlights of his season with the BSO include Debussy’s La Mer (November 29-December 1), Smetana’s Má Vlast (November 23-27), and Mahler’s First and Ninth symphonies (November 15-20 and November 8-10, respectively), as well as Mahler’s Das Lied von der Erde (April 17-18). Mr. Levine leads the Boston Symphony Orchestra in the world premieres of Elliott Carter’s Horn Concerto (November 15-20), John Harbison’s Symphony No. 5 (April 17-18) – both BSO commissions – and the world premiere of William Bolcom’s Symphony No. 8 for chorus and orchestra (February 28-March 1), a BSO 125th Anniversary Commission, as well as the American premiere of Henri Dutilleux’s Le Temps l’Horloge for soprano and orchestra (November 29-December 1), a BSO 125th Anniversary Co-commission. Maestro Levine also remains Music Director of the Metropolitan Opera, where he has developed in the 35 years since his debut there a relationship with that company unparalleled in its history and unique in the musical world today. He has led more than 2,000 performances of 80 different operas at the Met. Maestro Levine inaugurated the “Metropolitan Opera Presents” television series for PBS in 1977, founded its Young Artist Development Program in 1980, returned Wagner’s complete Der Ring des Nibelungen to the repertoire in 1989 (in the Met’s first integral cycles in 50 years), and reinstated the former Met tradition of recitals and concerts with Met artists at the opera house. Mezzo-soprano Susan Graham is regarded as one of the world’s leading opera singers. In recent seasons, she has performed leading roles at the Metropolitan Opera, San Francisco Opera, Lyric Opera of Chicago, Vienna State Opera, and Opéra National de Paris. A Grammy Award-winning singer, her repertoire stretches from Baroque to contemporary. Ms. Graham’s most recent solo recording, Poèmes de L’amour, includes Ravel’s Shéhérazade, Chausson’s Poème de l’amour et de la mer, and several Debussy settings of Baudelaire poems arranged by John Adams. Her most recent appearance with the BSO was in July 2002 performing Berlioz’ Les Nuits dété, Op. 7, at Tanglewood. Pianist Jean-Yves Thibaudet has built strong relationships with such orchestras as the Los Angeles Philharmonic, Boston Symphony Orchestra, Philadelphia Orchestra, and San Francisco Symphony. Highlights of his recent performances around the world include recitals in the Netherlands, Germany, Switzerland, and Spain, as well as engagements with the Atlanta Symphony Orchestra, Sydney Symphony Orchestra, Munich Philharmonic, Spanish National Orchestra, and the Royal Concertgebouw Orchestra. Also a prolific recording artist, Mr. Thibaudet’s diverse repertoire includes works by Gershwin, Rachmaninoff, Ellington, Shostakovich, Mendelssohn, Brahms, Schumann, Liszt, Chopin, Grieg, Messiaen, Debussy, and Ravel. He was the soloist on the 2005 Oscar-nominated soundtrack of Universal Pictures’ Pride and Prejudice. 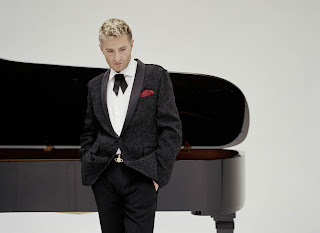 Mr. Thibaudet’s most recent appearance with the BSO was in October 2005 performing Gershwin’s Piano Concerto in F at Symphony Hall and Carnegie Hall. Tickets for Opening Night of the Boston Symphony Orchestras 127th season are priced at $75, $95, $200, $1,000, and $2,500. All ticket prices include a pre-concert reception. Silver Benefactor tickets ($1,000) include exclusive pre-concert cocktail reception, premier seating for the concert, premium seating for the gala dinner at The Fairmont Copley Plaza, commemorative gift and listing as a Silver Benefactor in the concert program. Gold Benefactor tickets ($2,500) include exclusive pre-concert cocktail reception, premier seating for the concert, premium seating for the gala dinner, commemorative gift and listing as a Gold Benefactor in the concert program. The purchase of a Gold Benefactor table of ten includes door to door limousine service for you and your guests. The purchase of a Gold Benefactor ticket entitles you to complimentary valet parking at The Fairmont Copley Plaza. Tickets for the 2007-08 Boston Symphony Orchestra season are currently on sale. Tickets for the regular-season Boston Symphony Orchestra concerts on Tuesday, Wednesday, and Thursday evenings, as well as Friday afternoons, are priced from $29 to $103; concerts on Friday and Saturday evenings and Sunday afternoons are priced from $30 to $114. Open rehearsal tickets are priced at $19 each (general admission). Tickets may be purchased by phone through SymphonyCharge, in person at the Symphony Hall Box Office, or online through the BSO’s website, http://www.bso.org/. The box office is open from 10 a.m. to 6 p.m., Monday through Saturday; when there are concerts, the box office remains open through intermission. American Express, MasterCard, Visa, Diners Club, and Discover, as well as personal checks (in person or by mail) and cash (in person only) are all accepted at the box office. Call the BSO’s SymphonyCharge at 617-266-1200 or 888-266-1200 Monday through Friday from 10 a.m. to 7 p.m. and Saturday from 10 a.m. to 6 p.m. to charge tickets on a major credit card. There is a $5.50 service fee for each ticket purchased online or by phone. A limited number of rush tickets for Boston Symphony Orchestra subscription concerts on Tuesday and Thursday evenings and Friday afternoons are set aside to be sold on the day of a performance. These tickets are sold at $9 each, one to a customer, at the Symphony Hall Box Office on Friday beginning at 10 a.m. and Tuesday and Thursdays beginning at 5 p.m. Please note that there are no rush tickets available on Friday or Saturday evenings or Sunday afternoons. The Boston Symphony Orchestra offers 30-minute Pre-concert Talks in Symphony Hall before all BSO subscription concerts, beginning at 6:45 p.m. prior to the 8 p.m. evening concerts and at 12:15 p.m. prior to Friday-afternoon concerts. Open Rehearsal Talks begin one hour before the start of all Thursday-morning and Wednesday-evening Open Rehearsals. These informative talks, which include recorded musical examples, enhance the concert-going experience by providing valuable insight into the music being performed. BSO concerts can be heard regularly on the radio. The Friday-afternoon concerts are broadcast on WGBH 89.7 FM, and the Saturday-evening concerts are broadcast on WCRB 102.5 FM. Both stations also stream the concerts live through their websites at www.wgbh.org and www.wcrb.com. Patrons with disabilities can access Symphony Hall through the Massachusetts Avenue lobby or the Cohen Wing on Huntington Avenue. An access service center, accessible restrooms, and elevators are available inside the Cohen Wing entrance. For ticket information, call the Disability Services Information Line at 617-638-9431 or TTD/TTY 617-638-9289. Symphony Café offers buffet-style dining from 5:30 p.m. until concert time for all evening Boston Symphony Orchestra concerts. In addition, Symphony Café is open for lunch prior to Friday-afternoon concerts. Patrons enjoy the convenience of pre-concert dining at the Café in the unique ambiance of history Symphony Hall. The cost of dinner is $32.50 per person; the cost of lunch is $19. The Café is located in Higginson Hall; patrons enter through the Cohen Wing entrance on Huntington Avenue. Please call 617-638-9328 for reservations, or visit the BSO website at http://www.bso.org/. The Symphony Shop, located in the Cohen Wing on Huntington Avenue, is open Tuesday through Friday from 11 a.m. to 4 p.m., Saturday from noon to 6 p.m., and from one hour before concert time through intermission. A satellite shop, located on the first-balcony level, is open only during concerts. Merchandise may also be purchased by visiting the BSO website at www.bso.org. Gift certificates are available in any amount and may be used toward the purchase of tickets (subject to availability) to any Boston Symphony Orchestra or Boston Pops performance at Symphony Hall or Tanglewood. Gift certificates may also be used at the Symphony Shop to purchase merchandise. Free public tours of Symphony Hall are available Wednesday at 4:30 p.m. from October 17 through December 5, 2007, and from January 2, 2008 through April 30, 2007, and every first Saturday of the month at 1:30 p.m., October 13 through May 3, 2008 during the BSO season. This schedule is subject to change. Tours begin at the Massachusetts Avenue Lobby Entrance. For further information, please e-mail bsav@bso.org or call 617-638-9390. This is a project of the Boston Symphony Association of Volunteers. UBS will continue its partnership with the Boston Symphony Orchestra as its exclusive season sponsor, building on the mutually successful partnership that began in 2003. EMC Corporation is the supporting partner of the 2007-08 BSO season. Pre-concert talks and the Symphony Café are supported by New England Coffee, the official coffee of the Boston Symphony Orchestra. The Fairmont Copley Plaza Boston, together with Fairmont Hotels & Resorts, is the official hotel of the BSO. Commonwealth Worldwide Chauffeured Transportation is the official chauffeured transportation provider of the BSO. Cadillac and Shreve, Crump & Low are Opening Night at Symphony partners; Shreve, Crump & Low is the official jeweler of the BSO. All programs and artists are subject to change. For current program information, dial 617-CONCERT (266-2378). For further information, call the Boston Symphony Orchestra at 617-266-1492. The Boston Symphony Orchestra is online at http://www.bso.org/.